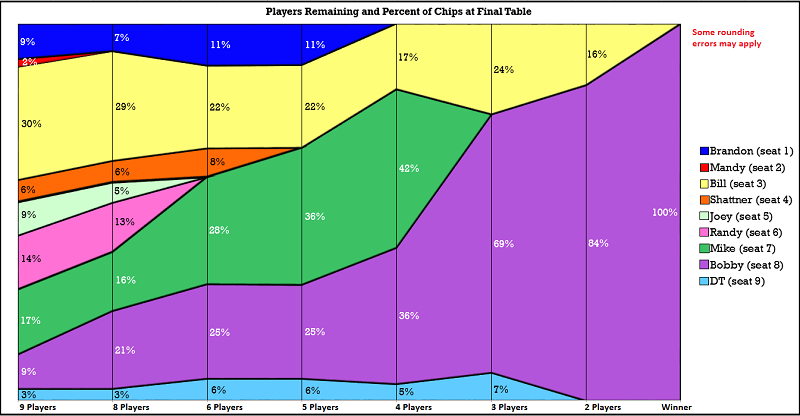 Each "column" shows the percent of chips owned by each player. 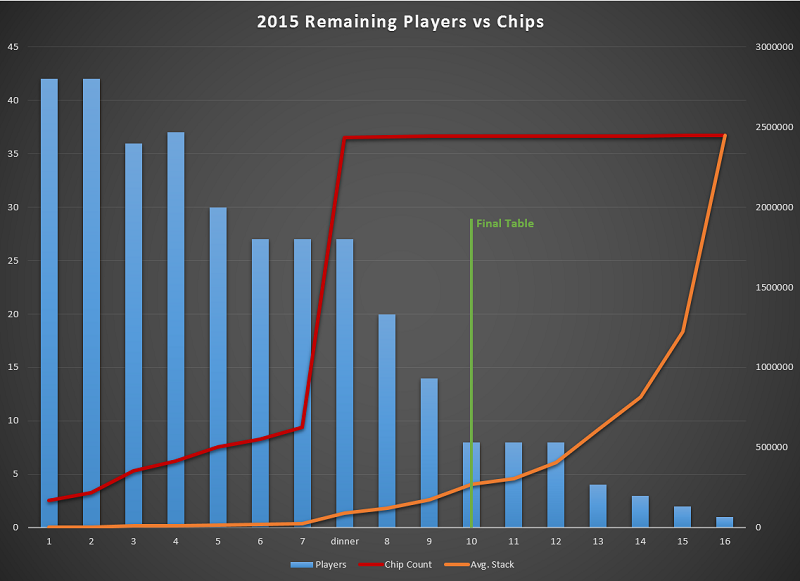 Total chips in play is 2.448 Million. 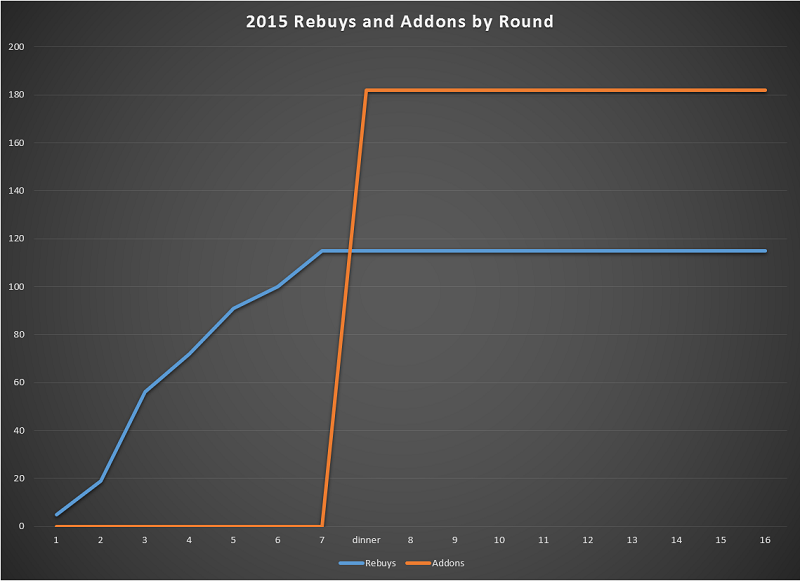 note: Players Randy and Joey where eliminated in the same hand.